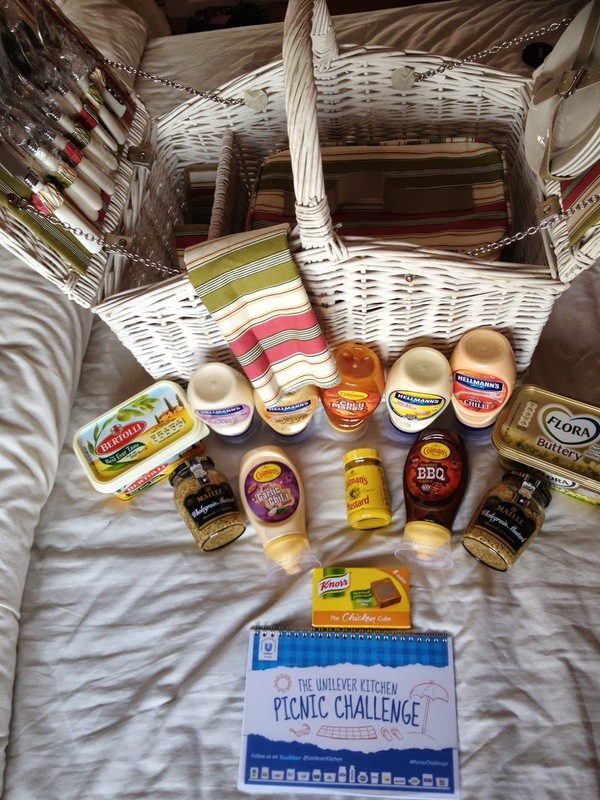 Using a more of the ingredients that arrived in my gorgeous picnic hamper from the Unilever Kitchen, is time I made dessert to take on the picnic with you. This cheesecake is not dense, but more like a light chocolate mousse. By using 85% dark chocolate too, it also makes it not overly sweet, which I like. 1. Blitz together the digestive biscuits and the ginger until finely crumbed. 2. Melt the Flora Buttery. 3. Mix the Flora Buttery with the digestive crumbs until thoroughly combined. 4. Tip into a large rectangular Pyrex lidded dish and press down firmly, then chill until required. 5. Whisk together the Elmlea double cream, Philadelphia cream cheese, evaporated milk, Jif lemon juice, icing sugar and vanilla powder until thickened. 6. Melt the chocolate and the whisk in to the cream, milk & cheese mixture. 7. Pour over he crumb base and smooth the surface. Chill for 2 hours, or until required. 8. Mix the raspberries and icing sugar, gently crushing the raspberries a little. 9. 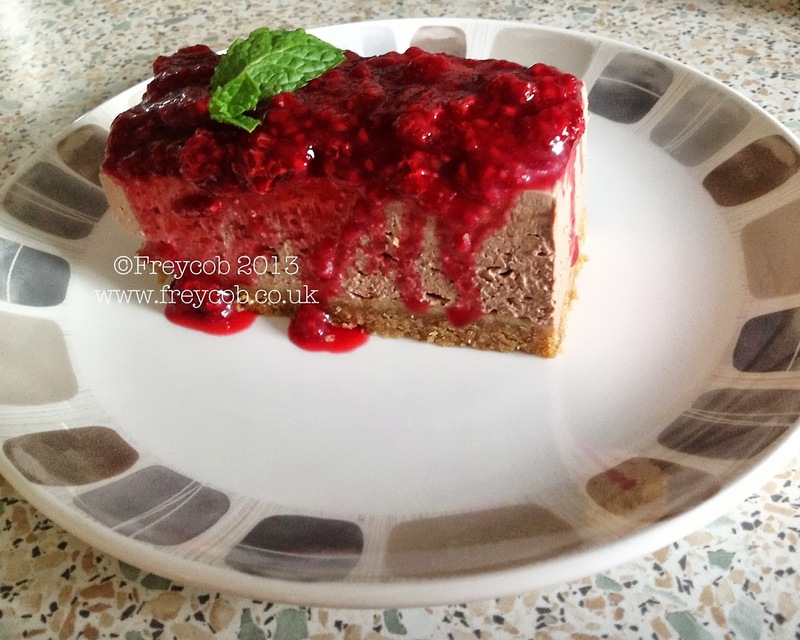 Serve the chocolate mousse cheesecake with a generous spoonful of the raspberries drizzled over the top.